Find out if someone somewhere else in the world is doing the exact same thing you are. 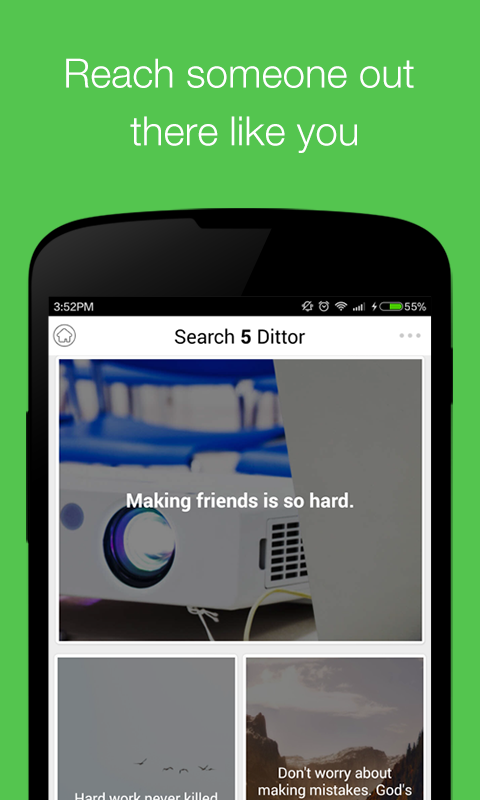 Dittor is a free anonymous social network which can give you a good opportunity to discover if there are another you in the world doing the exact same thing. All connections on Dittor are anonymous and no one could recognize you. You can express yourself honestly and freely. Itâ€™s like screaming to the world how you really feel. 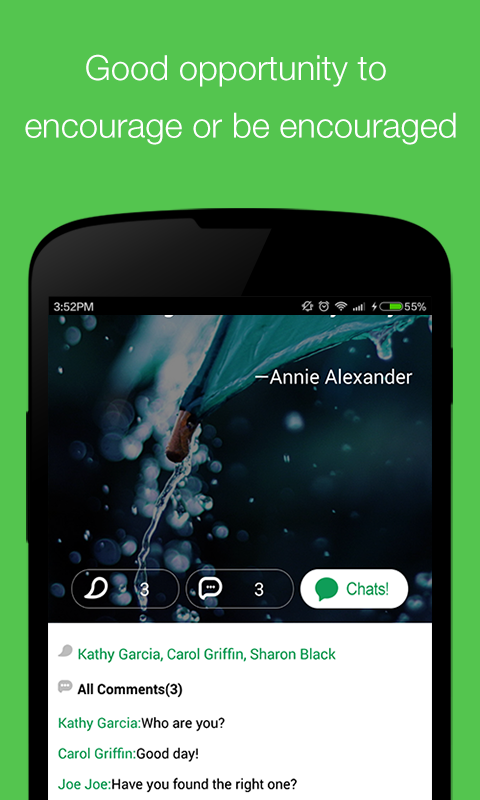 On Dittor, you can chat anonymously with the ones who inspire you or attract you. Building friendships here based on the same experience, hobby, thoughts, etc. Maybe you will find another guy is so you on Dittor. Highlights: *Reach out someone out there is thinking or doing something like you. *Read thoughts of people inside posted by people around the world. 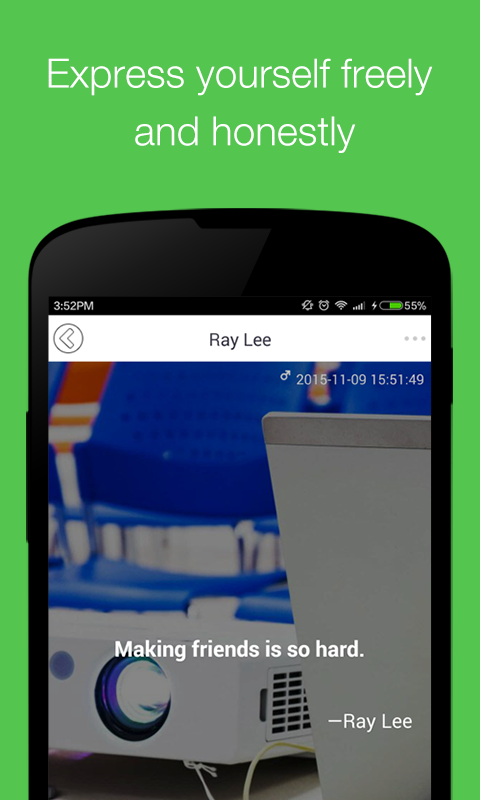 *Create and post your thoughts anonymously. *Chat with other Dittors privately. *Respond the post that interest you most.